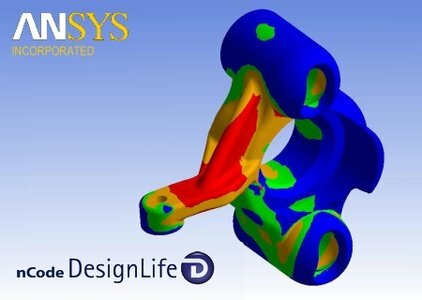 HBM announces the version 9.1 release of ANSYS 15.0 nCode DesignLife, a leading solution for CAE fatigue analysis applications. Users can now more quickly solve fatigue analysis problems by using High Performance Computing (HPC) environments. A new Safety Factor product option helps assess the durability of a wider range of components used in ground vehicle powertrain engineering early in the design process. As finite element models increase in size and fidelity, HPC environments are being used to improve simulation throughput. This enables parallel processing to go beyond the multi-core processing on a single computer by distributing the analysis across multiple machines or nodes of a compute cluster. In this way, the largest computational problems can be broken down and solved many times quicker, but hardware is not the only requirement. The computational software needs an architecture that can take advantage of this scalability by distributing the analysis tasks and required information between machines. To address these performance demands, ANSYS 15.0 nCode DesignLife 9.1 can now be run in HPC environments or other multi-machine configurations using a new Distributed Processing option. 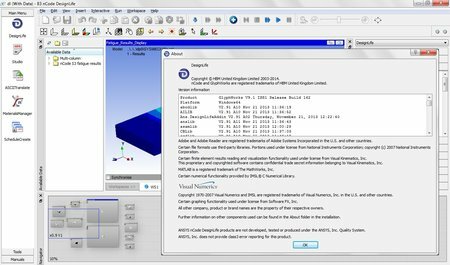 ANSYS 15.0 nCode DesignLife supports both Intel MPI (Message Passing Interface) for Windows and Linux operating systems and Microsoft MPI for Microsoft HPC clusters. nCode also introduces new built-in methods for performing safety factor calculations commonly used in powertrain engineering. The new Safety Factor option in DesignLife expands its ability to cover many aspects of the durability assessment needed for engines, transmissions, and drivelines. This stress-based factor of safety method is commonly used for the design of crankshafts, camshafts and pistons, and employs standard mean stress corrections or user-specified Haigh diagrams. Stresses from a complete finite element model are analyzed in a single analysis process. Other capabilities for powertrain include industry proven methods for stress gradient effects that are important for fatigue analysis of cast materials used in engine blocks, virtual shaker testing simulation for engine electronics, and thermo-mechanical fatigue analysis for high temperature components such as turbochargers. Established in 1982, nCode is the leading supplier of durability, test and analysis products to a range of markets including: Aerospace, Automotive, Defense, Off Highway, Rail Transport, Wind Energy. nCode's global team delivers expertise and solutions in: Test & Measurement, Operational Monitoring and Product Design. nCode software and solutions are part of HBM, a technology and market leader worldwide, offering products and services across the entire measurement spectrum, from virtual to physical.